Yardbird is slang for prisoner. Is this what a prisoner looks like after Bubba is done with em? 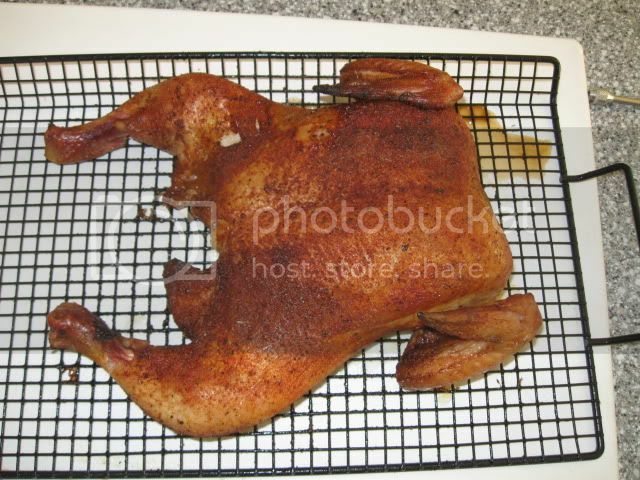 Looks good Scotty, I did 2 spatchcocked yardbirds on the Traeger for Steve's birthday last week. I find that by splitting them, it allows for more smoke to enter the bird. There's no head how can you tell? He probably choked his spatchcock chicken before her put it on the grill and the head popped off.